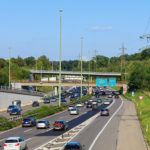 Switzerland’s federal council, or executive branch of government, has made further progress on coming up with an electronic replacement for the nation’s motorway tax sticker, or vignette. It released a report last week with details that bring its plans closer to reality. The sticker, which costs CHF 40 a year and was introduced in 1985, is old and cumbersome according to Bern. It is hoped that a new electronic system will be less costly and more effective. Some fear it could be the first step towards charging based on road usage. In an attempt to raise more revenue the government hoped to raise the annual fee to CHF 100, however this plan was rejected in a popular vote in 2013. A proposal to offer a short term pass was dropped because it would have required increasing the price of annual ones to maintain the same level of revenue – a CHF 20 short term pass would have meant adding CHF 16 to regular ones. Criticisms of the current system include the high cost of vignettes for trailers and motorcycles, and the need for those with one set of license plates, that can be used on multiple cars, to pay for every car when they can only ever drive one at any given moment. These vehicles all require the same CHF 40 sticker. The government says that abuse is also a problem under the current system. 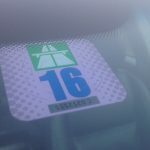 A survey in 2003 found that 5 percent of vehicles had no sticker and another 5 percent had stickers that had been illegally transferred from another vehicle – the stickers are not transferable. In addition, distributing the vignettes is costly. Retailers earn a commission as high as 10 percent of the face value of the stickers, a fee that costs the government around CHF 35 million a year. It is hoped the new system can claw back CHF 26 million lost from cheating. At the same time trailer owners, licence plate switchers and motorcyclists will pay less, reducing revenue by around CHF 28 million. Cost savings are currently less clear and range from CHF 12 to CHF 21 million. Together the new system could push up Bern’s net receipts by between CHF 10 and CHF 18 million. Net annual revenue is currently around CHF 340 million. 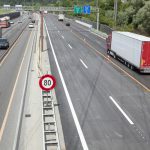 The new system will require vehicle owners to electronically register their license plates before using Swiss motorways. Compliance will be monitored automatically using a system of video cameras, at probably 50 locations. 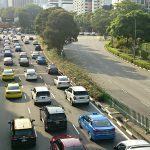 The government says the price will not change and it has no plans to introduce a short term pass. It must still decide whether the system will be run by the state or a third party. The current phase of consultation will run until 13 October 2017, and if everything goes to plan the new electronic system will be in place by 2023. Swiss roads requiring a motorway sticker are shown here.